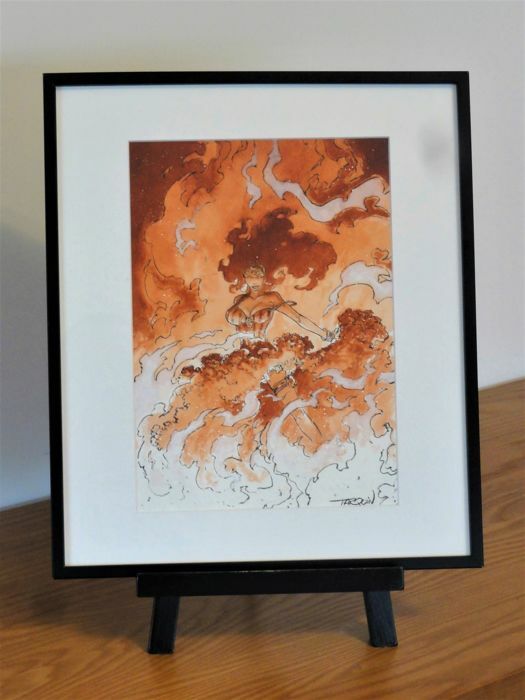 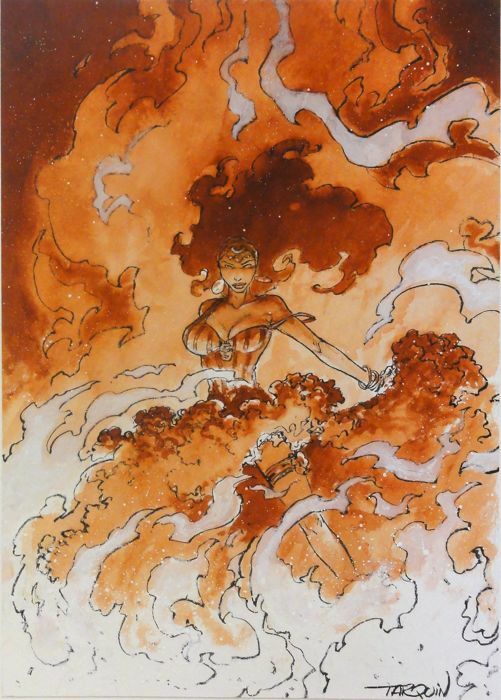 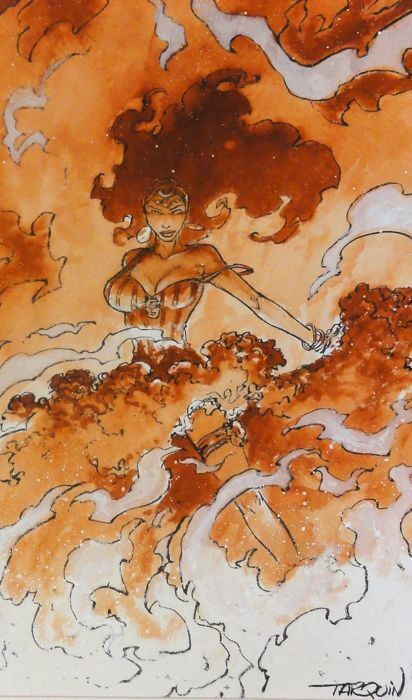 Beautiful original watercolour illustration by Didier Tarquin, representing Falordelle, the Gypsy with a fiery temper in the series Lanfeust de Troy. 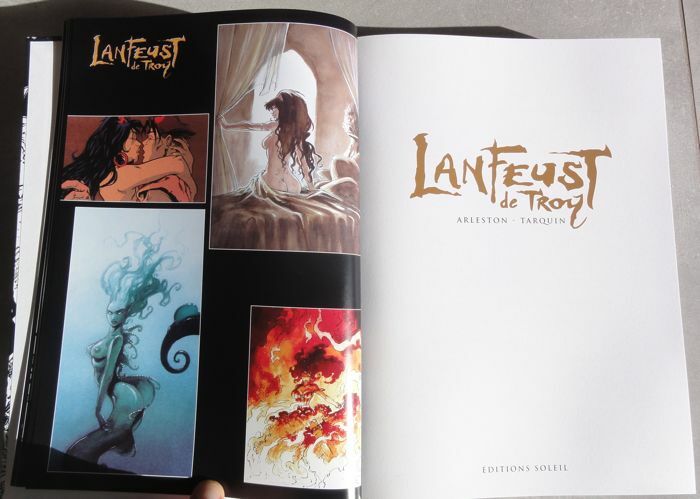 Illustration published in the ‘Lanfeust de Troy’ complete series (volumes 1-8), published by Bruno Graff. 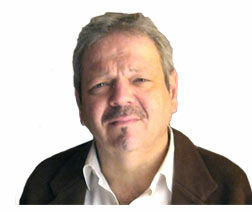 Image of the album as documentation.